2015 was my first season of racing and was full of highs and lows and plenty of lessons learned. While planning to write this review, which I probably should have done earlier, I was trying to decide how I would divide the post up. Should I do highlights and lowlights? Or just go chronologically? Luckily, those two ways of splitting up this post provide identical results. The road racing season starts strangely early in Ontario, a place where winter really hasn’t completed relaxed its grip until almost the end of April some years. 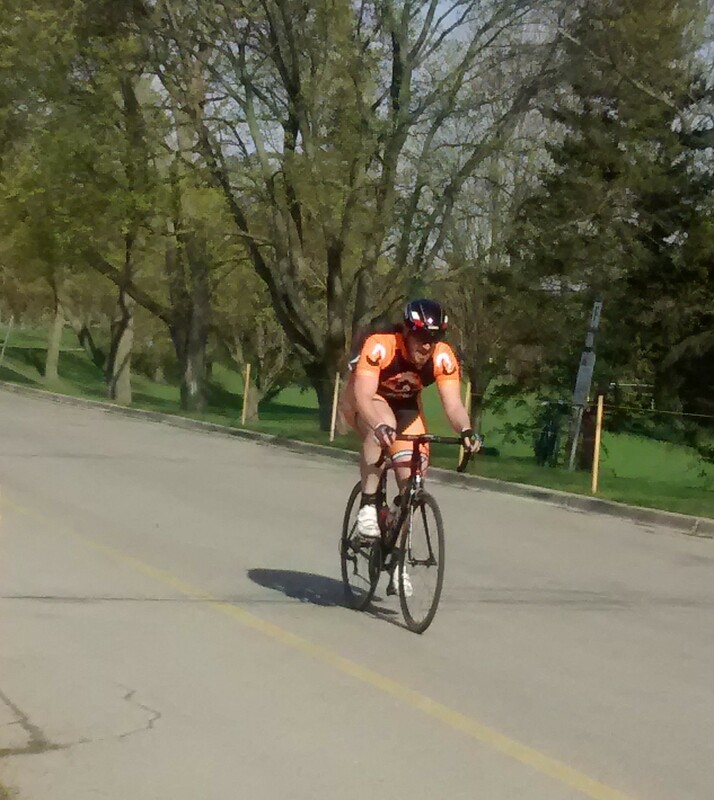 So after a winter of mindlessly spinning on the trainer and sometime out on the road, it was time to make my racing debut at the Good Friday Road Race in Hamilton. You can read the full race report here, but basically it was a good lesson in the importance of positioning yourself at the start as well as a sharp blast of reality and the need to HTFU. In the end, I pulled out of the race after one lap and my cherry popping experience went down as a DNF. So after my pride took a hit at the Good Friday Road Race, the next time I pinned on a number was the Springbank Road Race in London. Contested on bike paths in Springbank Park, the course was very tight and technical, more reminiscent of a crit than a road race. Drawing on my previous experience, I lined up near the front hoping for a good start. Unfortunately I missed clipping in and founding myself off the back after breaking too hard into the first corner. So without going into all the details of the race, which can be read here, I’ll skip to the lessons learned from this race. The big lesson was that I was not fast enough and needed to improve my training by riding with faster people. My third and final race of the first half of my season was Pedalfest, a crit putting on by the Barrie Cycling Club so it was nicely close to home. Unfortunately, the combination of rain and an elite field made for a tough day. Just like at Springbank, I missed my pedal on the first go and was off the back right from the gun. It turned into a long, wet day of riding by myself. But I had learned my lesson from Good Friday, and rather than pulling out after falling off the back, I kept riding and finished the race only 3 laps down. There was only one other Cat 4 in the field that day, it was a strong field, and he also finished a number of laps down. After Pedalfest it was time for a little rest. I was feeling pretty tired after over doing it with the training in the lead up to he event. The break was also a chance to take a fresh approach to my training thanks to the acquisition of a Stages power meter. After spending time training with power, I can agree that it is the most powerful training device available to cyclists. The ability to dial in your training allows you get the most out of your training time. I definitely benefited from using a power meter and saw a lot of gains over the second half of the season. If you are interested in reading about how I got on with training with power, check out my series: Beginners Journey to Power Meter Training and Racing. With my training dialed in, it wasn’t long till the form followed and everything on a bike started feeling easy. Being in form is a fantastic sensation. Everything was just clicking which was a good omen ahead of Le Tour de Terra Cotta, a race I believed I had a good chance of a good result, if not a win. I’ve already written a full report on Le Tour de Terra Cotta, so I’ll just go over some of the things I took away from that race. First, I now know what it feels like to be on form and will be better at judging performance. Second, I learned the importance of position in the peleton and being near the front. If I had been positioned better going into the final climb I would not have had to burn my matches chasing and may of had a chance at winning. Third, I learned that I can compete with these guys which is great for my motivation heading into season number 2. Finishing 15th overall and third in my age group was a great result from me at Le Tour de Terra Cotta and marked my first trip to the podium. Following Le Tour de Terra Cotta, I wanted to carry my good form to my bike goal of the season, the Ontario Provincial Time Trial Championships. I have always fancied myself a time trialist, believing that I am good at pushing through the pain and maintaining high watts for an extended period. Believing this to be one of my strengths along with my good form meant I was expecting a good result at the Provincial Time Trial Championships. You can read the full report here, but in the end it was another good day on the bike. I finished third in the men’s 25km sportif category and once again the big take away was that I can be competitive at this level. That basically marked the end of my road season apart from the disaster that was Provincial Crit Championships. I was exhausted, blew up, and notched up another DNF. With the road season over, I switched to dirt and knobby tires for the fall, using cyclocross as a break from structured training and a way to have fun. I did not imagine that I would have as much fun as I did and fall in love with this ridiculous sport. Although I only did two O-Cup cross races, I did do a handful of Wednesday night races at Hardwood Hills and some cross clinics with the Barrie Cycling Club put on by former pro Davide Frattini. Lots of fun was had and lots of skills were learned all. My first O-Cup was Hardwood Hills, you can read my race report for full details. In summary, the race was a success. I met my goals of not getting lapped and not getting last. Second race was the Barrie Baseball Cross, which was on the same course as the ‘cross clinics so once again I had a lot of practice before the race. Thanks to the practice I was a lot more confident and as a result I had a good race. Rather than getting blown out the back right away, I spent most of the race riding with other racers. So it actually felt like a race. 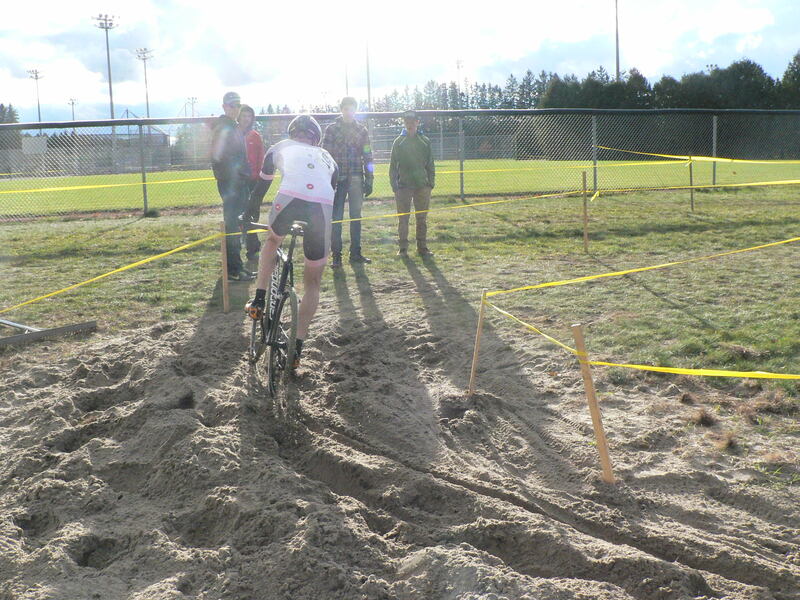 My cyclocross season was too short. I wish I had done more races of this ridiculous fun sport. Now I’m looking forward to next fall. My first season of racing was a mixtures of highs and lows. 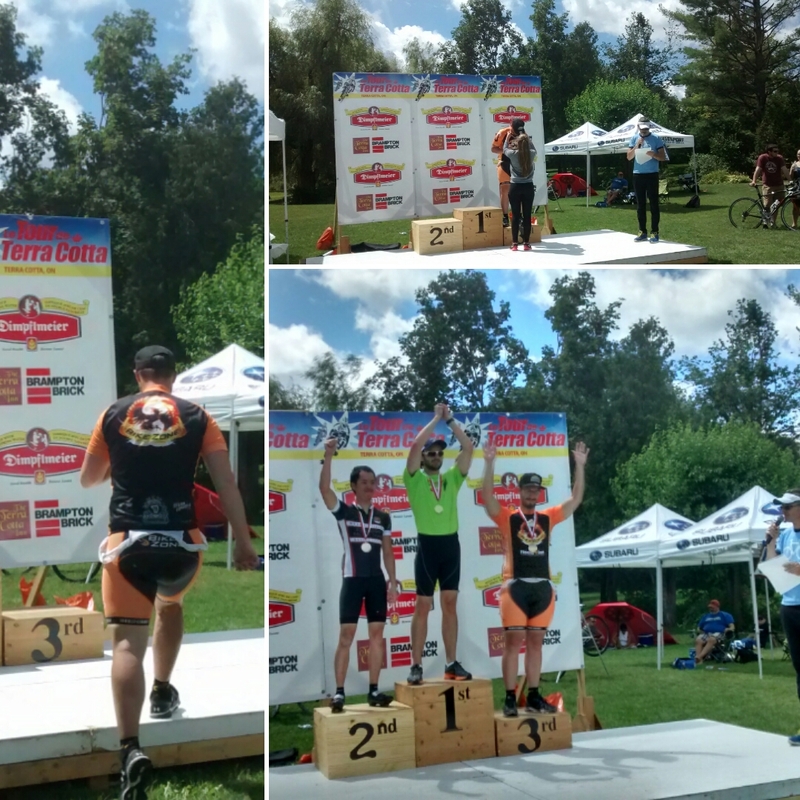 I had some success by getting on the podium at Le Tour de Terra Cotta and the Provincial Time Trial Championship and some embarrassing failures. But with every failure there were lessons learned. Lessons that I can take forward to next year which will hopefully be full of more growth and greater successes as I continue to learn and grow stronger as a cyclist.